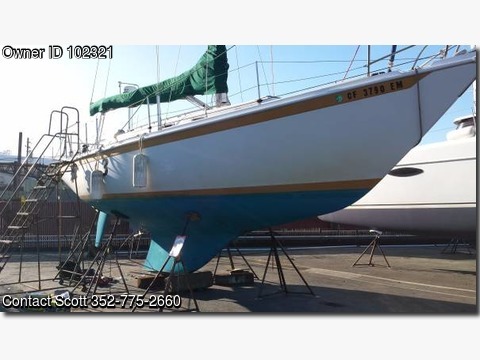 Boat is located in Pt Richmond,CA...Please contact the owner @ Scottcyphers@sbcglobal.net...This boat is ready to be sailed anywhere. It has radar, GPS, AIS receiver, comnav under deck auto pilot with remote. New custom glass Ericson windows 2014. 6 new opening ports with screens 2014. New bottom job Oct 2015. Just repainted and varnished galley area. Sails like a dream in the bay and even better in the ocean. 28 horse Beta Marine installed 2006.